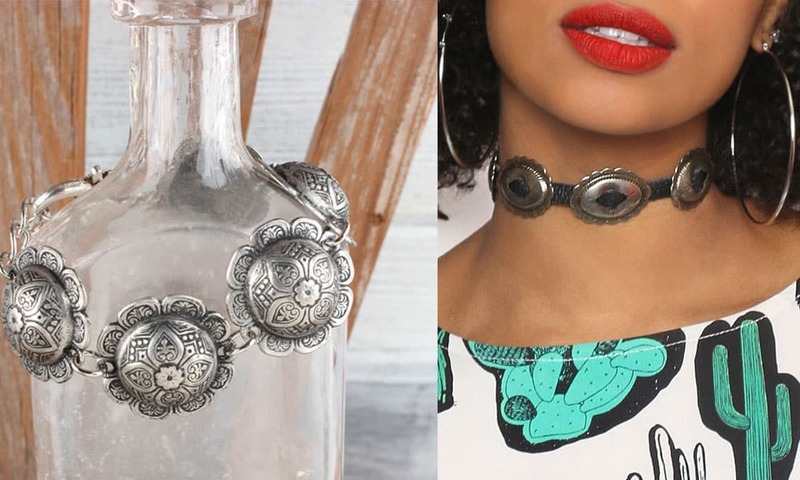 These concho accessories will ramp up your western look in a heart beat! Conchos are hitting the mainstream and we aren’t complaining. A long-time western staple traditionally used on tack and equipment, these silver accents come in a variety of shapes and styles; from basic to blingy, round to heart-shaped, we can’t get enough! Here are some of our top picks to quickly and simply add this popular style to any outfit.